For newcomers to the terminal, one of the first challenges can be understanding where you are in the file system and visualising the directory structure. To help make sense of this, there is a handy display tool called tree. This article will cover the basic usage of the tree command and explore some of the other cool things you can do with this tool. 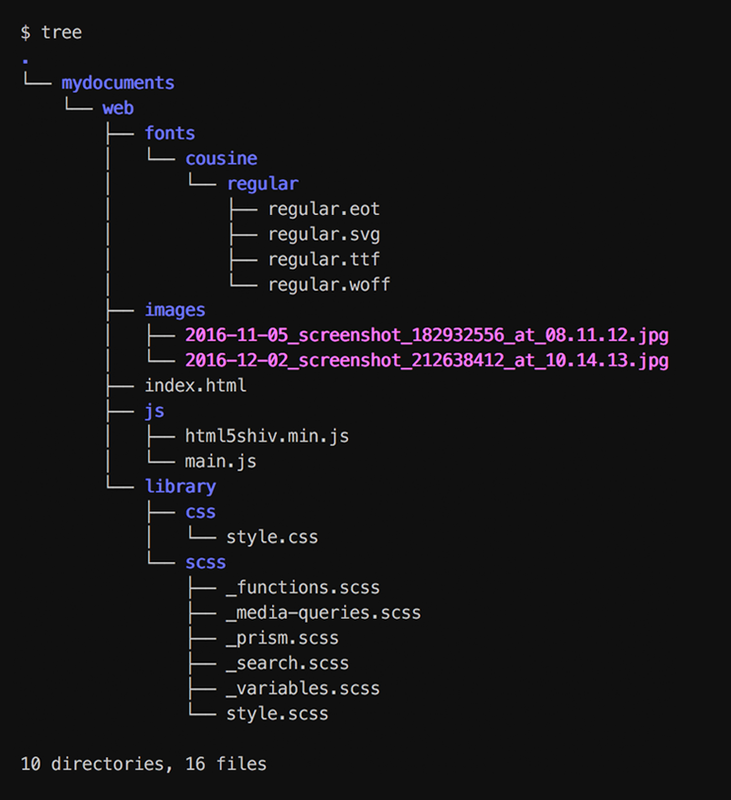 The tree command without any arguments will recursively list directories and files below the current path. Hidden files are not listed by default, but if you have have used the ls command you will already be familiar with the -a option to include them. To exclude all files and list only directories you can use the the -d option. This can be helpful to display a compact view of the structure. This will only look within the first 3 directories. Utilising the less command can be a great way to easily navigate a large list of results with its scroll functionality. File sizes can also be displayed with two options, -s to display the size in bytes or -h to display the size in a human readable format (KB, MB, GB). Another useful option is -u which will display the file owner. One of the features of tree that make it an especially great display tool are the various sorting options. By default, files will be listed in an alphabetical order but there is more you can do to suit your needs. To sort by last modification time you can use the -t option, this will display the most recent items at the top. A recently changed item refers to the last time meta data of the file was changed (eg. permissions).